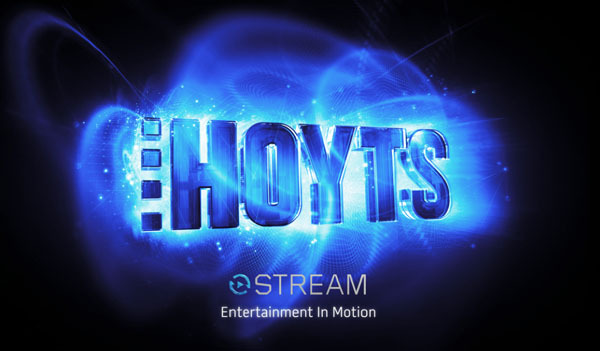 Hoyts has made a lateral move into online streaming, with the announcement of a movie and TV streaming service for next year. With traditional cinema revenues dwindling in the age of home theatre, Hoyts has previously attempted to meet the market with its Oovie DVD kiosks. While a substantial earner, Oovie has remained a niche product compared to even traditional video services like Blockbuster and Video Ezy, with some 200,000 active annual customers. Oovie will be rebranded Hoyts Kiosk when Hoyts Stream comes in 2013. This will expand the Hoyts name as an entertainment content provider in its own right, with a back catalogue of 1500 film and TV titles on offer. Hoyts Stream will take a monthly subscription ‘all-you-can-eat’ approach. “Hoyts believes that the proliferation of tablets, other mobile devices and smart televisions, coupled with ubiquitous broadband, will enable it to access consumers directly, leveraging its content relationships, bundling/rewards opportunities, and brand,” said a spokesperson. Hoyts Stream will have to battle with BigPond Movies and Quickflix, who have a headstart in streaming video. But while BigPond movies is married to BigPond, and Quickflix seems more interested in sending discs, Hoyts may be able to corner the portion of the market who want to avoid complex bundling and physical media. Prices and hardware will be forthcoming in the weeks leading up to Christmas. Taking advantage of a streaming video service would require a fixed-line connection, which means ADSL2+ for most people. Speeds of at least 10 Mbps would be ideal. How long will it take to get my internet connected?